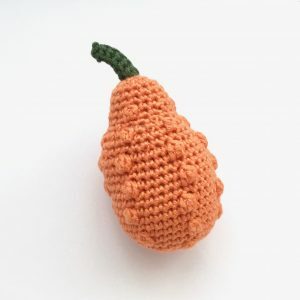 Using DK (light worsted weight, Category 3) yarn and a 3.5mm (US size E-4) crochet hook this gourd is approximately 10cm long (not counting the stalk). 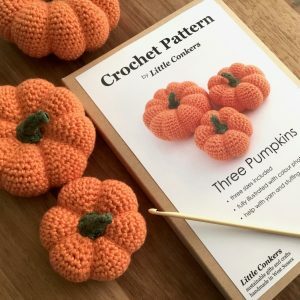 As always the fully-illustrated, easy-to-follow pattern includes detailed notes on choosing your yarn and lots of other helpful tips, and is available in both UK and US terminology. 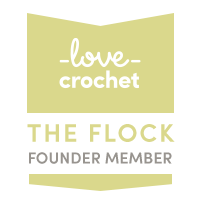 Find the pattern on Ravelry and LoveCrochet. 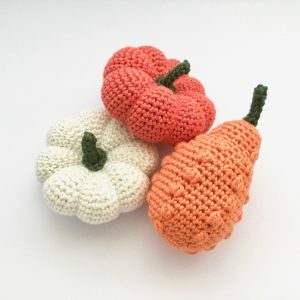 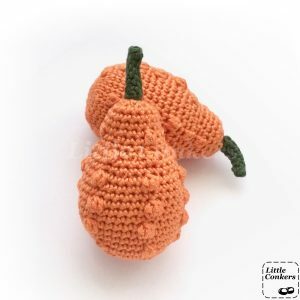 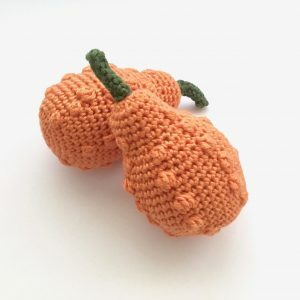 It will be coming soon to Etsy too and I’ll be creating bundles of pumpkin and gourd patterns to give you the best value when creating your autumn fun.